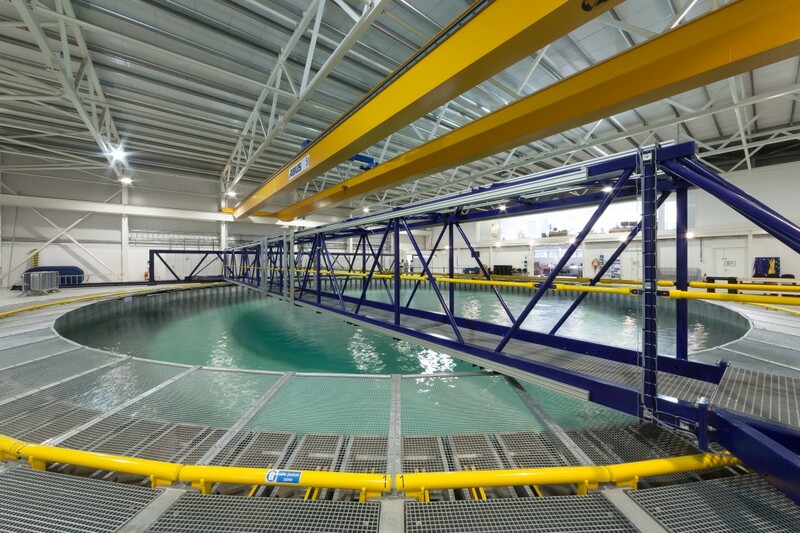 In 2012 we were awarded the contract to design and install FloWave: a unique circular wave and tidal test facility at the University of Edinburgh. 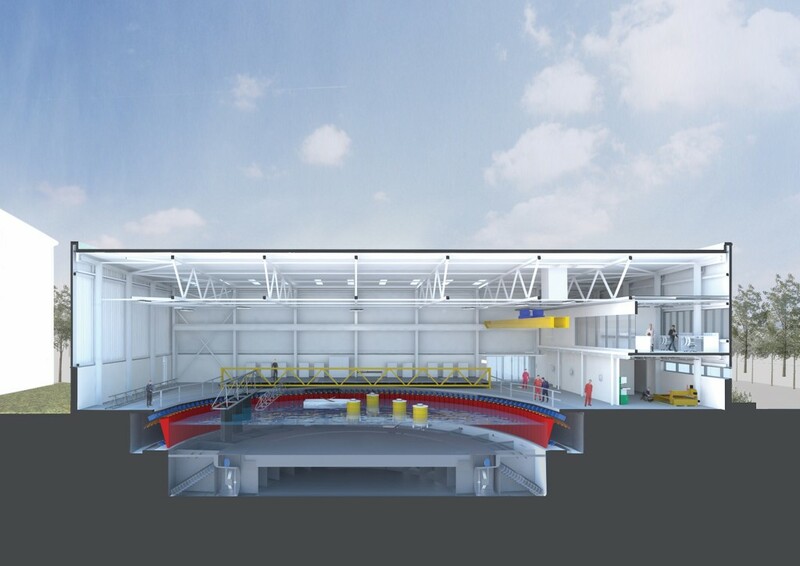 Edinburgh Designs provided a turnkey solution and were involved at all stages of the project, including generation of initial concepts and ideas; design, production and installation of the tank and all major equipment; and commissioning, training and support. 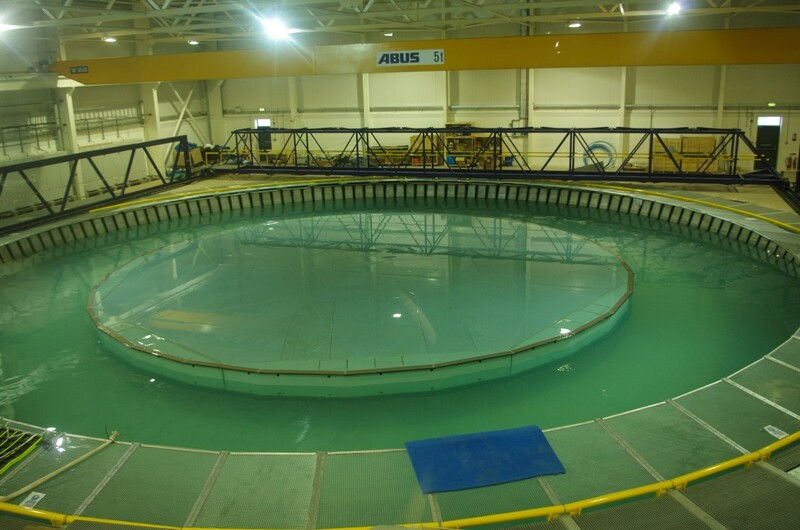 The tank is 30m in diameter with a working tank 25m in diameter and 2m working water depth, and is surrounded by a circle of 168 flap wavemakers and 28 flow propellers. 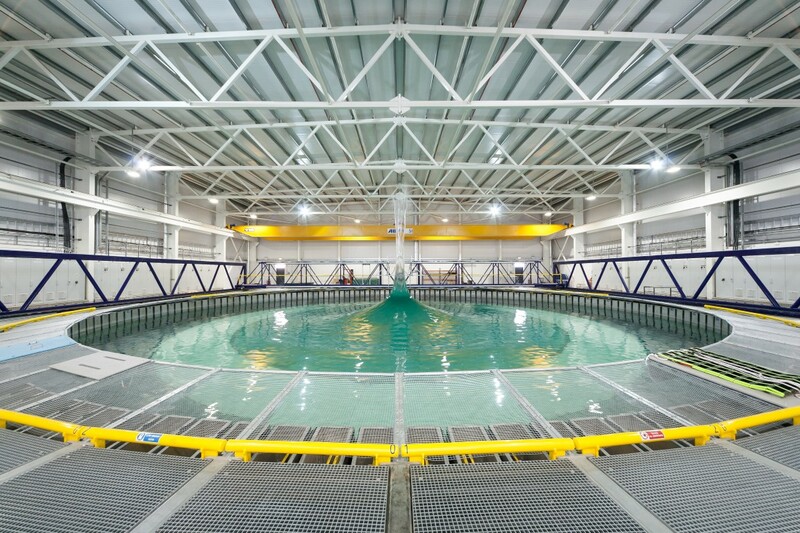 There is a central floor section 15m in diameter that lifts above the water for the installation of experiments. 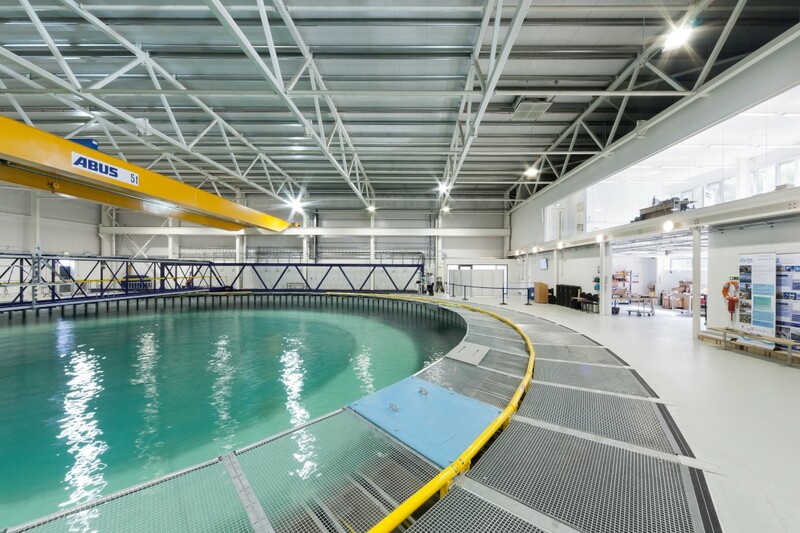 The circular design allows omnidirectional wave and current generation for model testing of renewable energy devices. It has been designed to be able to simulate any sea conditions around the British Isles. The facility was completed in February 2014 and we are looking forward to seeing the full research capabilities of this machine. 168 flap paddles arranged in a 30m diameter circle. 15m diameter hydraulic raiseable floor. The video below shows a demo of some of the more interesting waves that can be created in the tank.